This study tool will help you understand the text content, organize your study time, and ace your nursing exams. The 57 chapters in this guide correspond to the textbook chapters and include varied exercises to test your knowledge and help you apply fundamental nursing principles and skills. 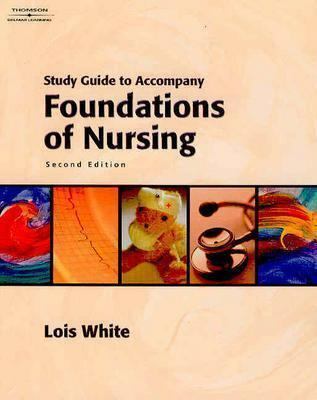 Use this guide to reinforce content you already know and identify areas in which you should concentrate your study efforts.White, Lois is the author of 'Foundations of Nursing ', published 2004 under ISBN 9781401826932 and ISBN 1401826938.